The most talked-about team-up today of Dingdong Dantes, Enrique Gil and Ms. Bea Alonzo after the success of their romantic-comedy movie called “She’s the One”. It is still part of the 20th Anniversary presentation of Star Cinema. The girl in the rain Bea Alonzo really had a great job in this movie. The movie garnered P10-million earnings on its first day! The movie "She's the One" tells about the complicated relationship between best friends Wacky (Dantes) and Cat (Alonzo). A young and handsome man (Enrique Gil) found Cat (Alonzo) under the heavy rain fixing the tire of her car. He felt in love with her at the first sight. Gil tried to look for this girl with the help of Wacky and eventually won Cat’s heart. Gil plays a role of a young man so in love with Bea, which is 8 years older to him. The friendship of Wacky and Cat turned disturbed. It came to the point the realization of Wacky upon losing his best friend Cat who never left him. 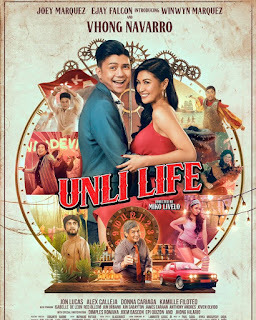 Other casts includes, Maricar Reyes, Liza Soberano, Perla Bautista, Pinky Amador, Guji Lorenzana, Coleen Garcia, Daniel Matsunaga, LJ Reyes. She’s the One is an extra ordinary love story this year. This film will surely make the big crowd fall in love and give realization to those who are not aware that love is just beside you. So what are you wating for? Grab your things now, and get your tickets! She’s the One on its second week! Hurry!